C No .2 (1)/Condi Tax/2018 Circular No. 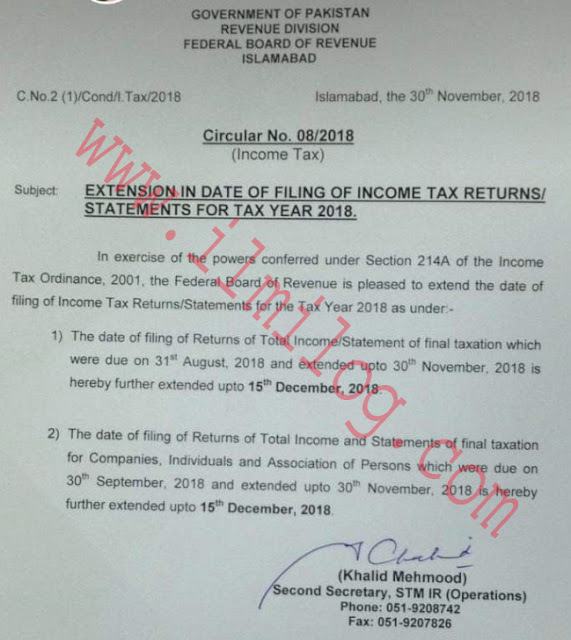 08/2018 (Income Tax) by a government of Pakistan revenue division federal board of revenue Islamabad, the 30th November 2018 regarding Income Tax Returns Filing Extension for Tax Year Dates 2018. 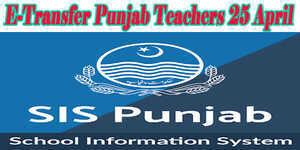 Subject EXTENSION IN DATE OF FILING OF INCOME TAX RETURNS/ STATEMENTS FOR TAX YEAR 2018. 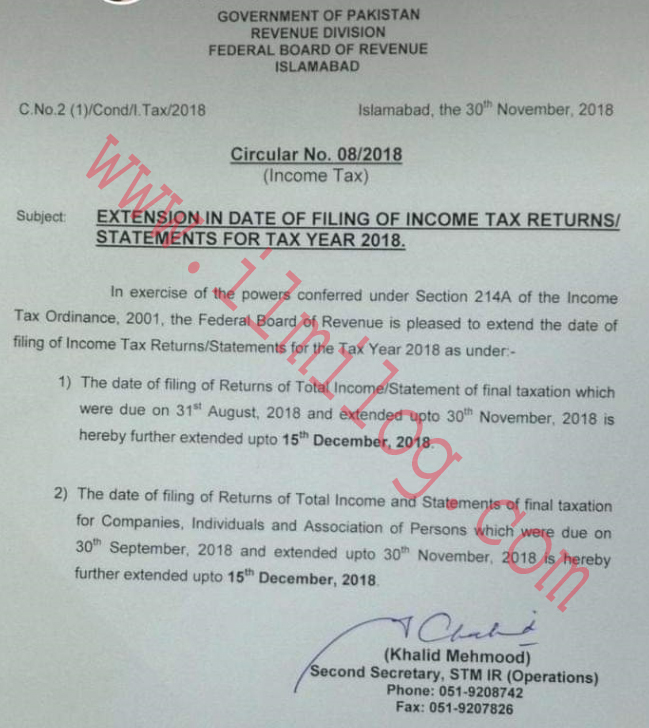 As per exercise of suitable powers conferred under Income Tax Ordinance, 2001 Section 214-A the FBR Federal Board of Revenue is pleased to extend the date of filing of Income Tax Returns or Statements for the Tax Year 2018. 2) The date of filing of Returns of Total Income and Statements of final taxation for Association, Individuals, and Companies of Persons which were due on 30 September. 2018 and extended up to 30 November 2018 is hereby further extended up to 15th December 2018.